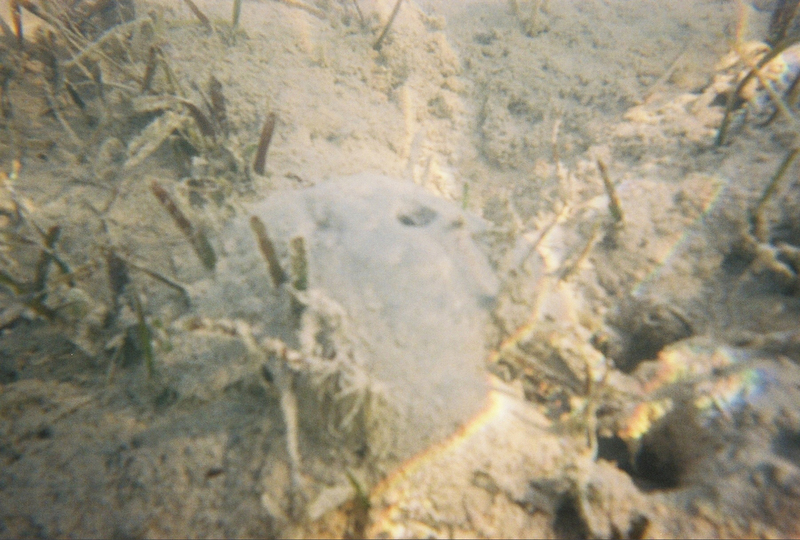 Wanless and Dravis (1989) describe this as "the site of the accumulation of Grapestone and Irregular·Ooid Grainstone where a very shallow shoal extends east -west along the northern part of the platform interior but is separated from the tidal flats by a shallow lagoon 5-10 km in width. 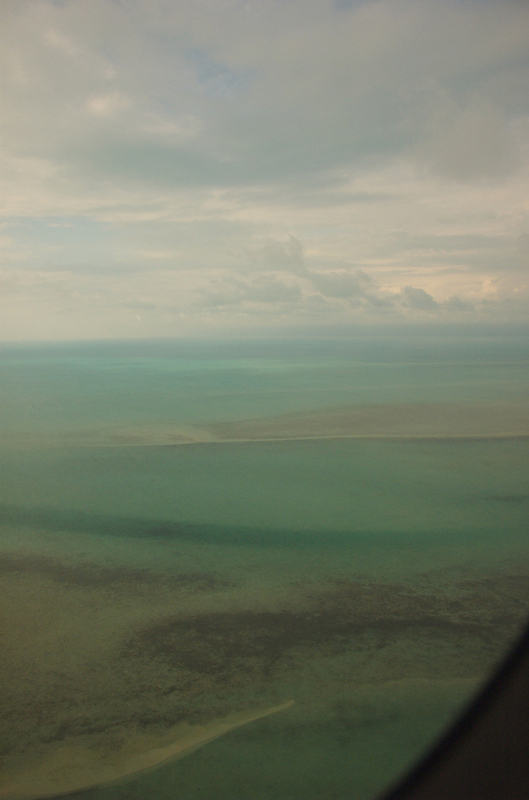 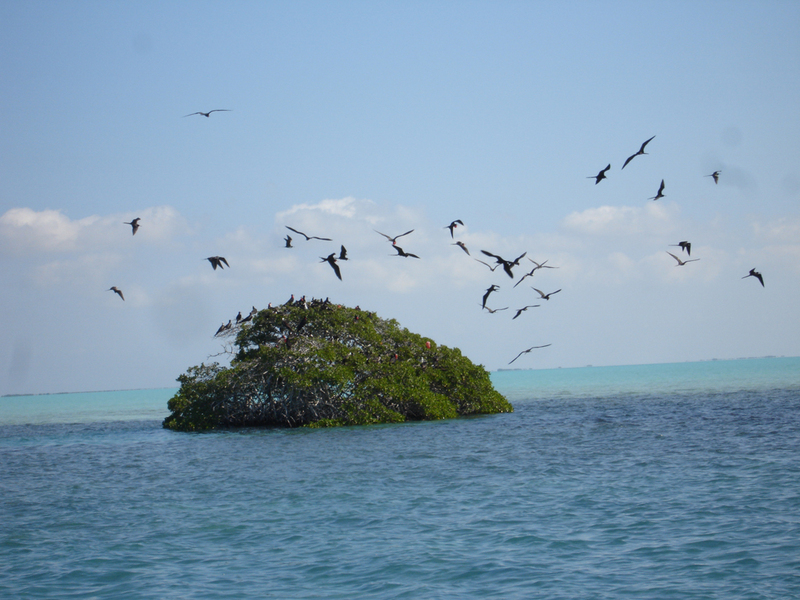 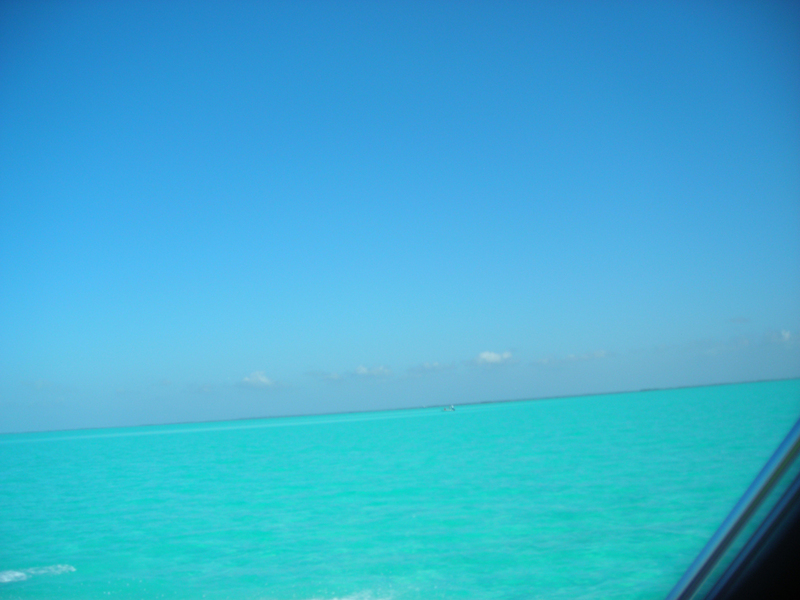 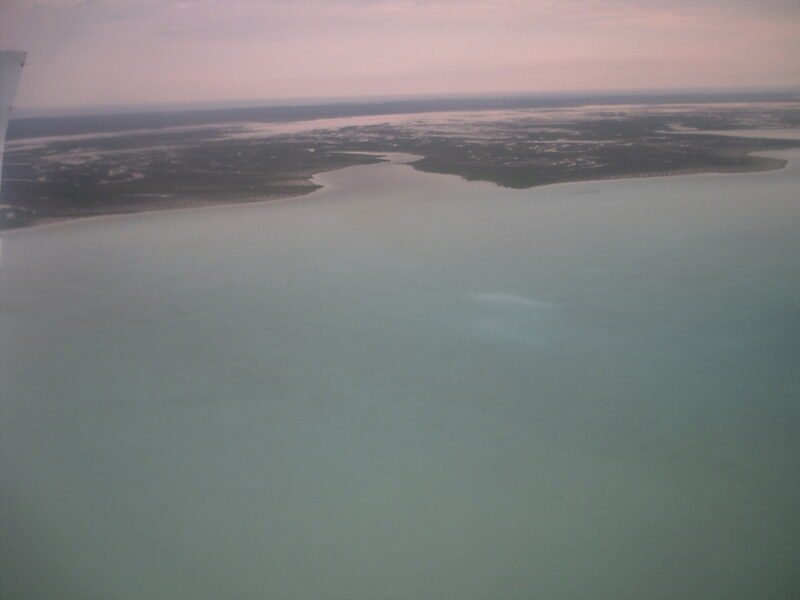 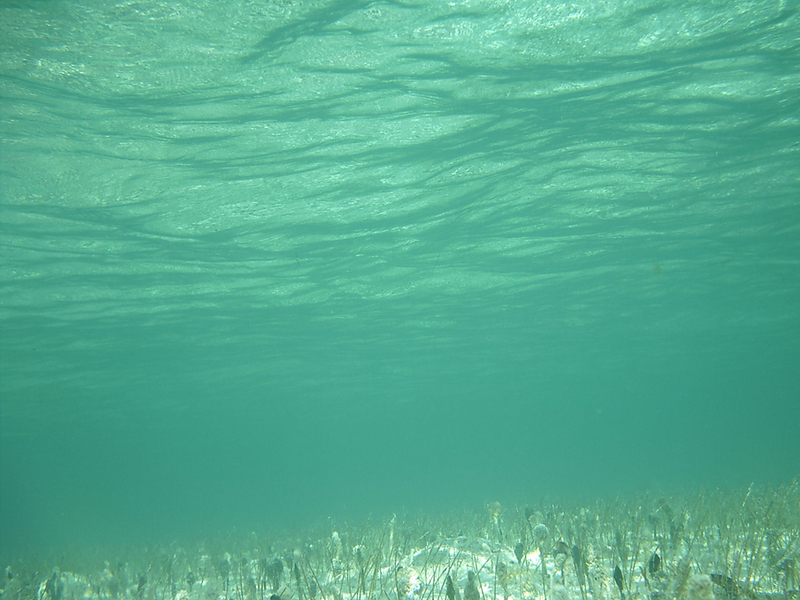 The shoal is cut by channels 0.5-2 m in depth at low water. 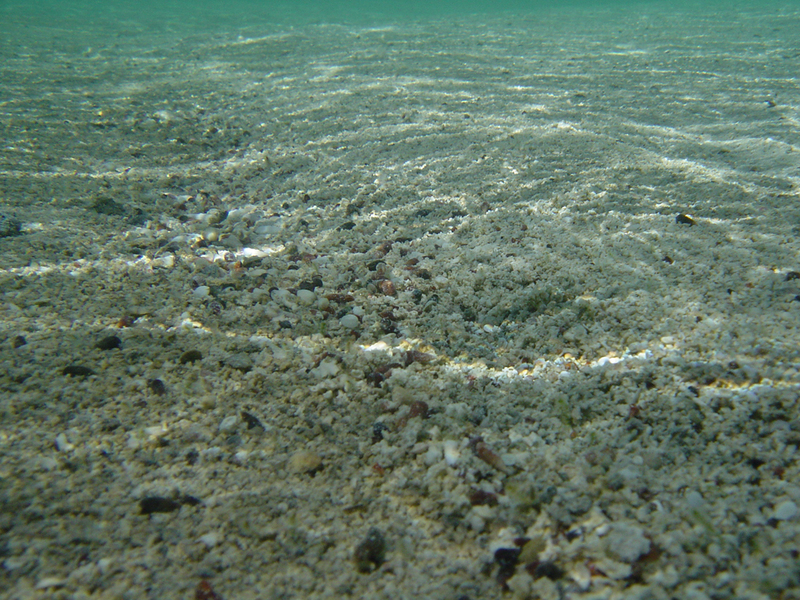 The shoal areas are mostly < 0.5 m in depth at low water, and several of the channels have intertidal grainstone levees with wash over lobes along the southern or western margin of the channel. 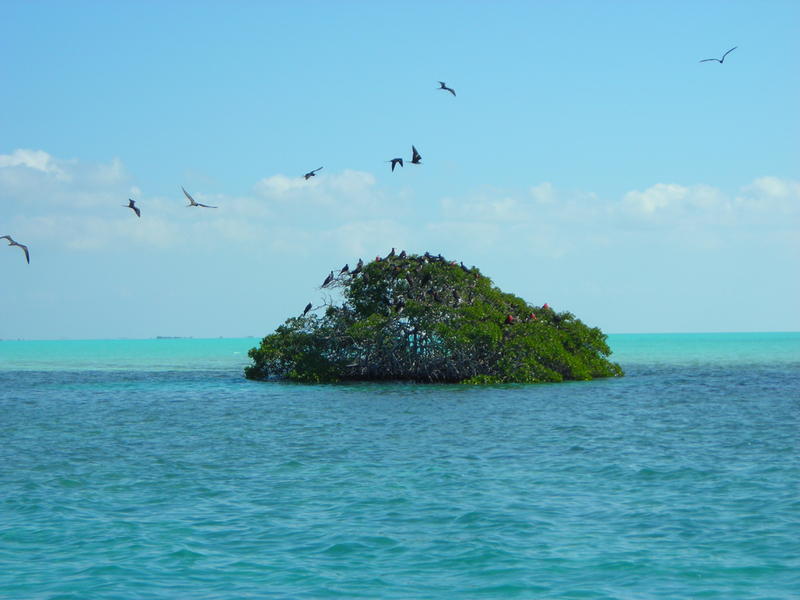 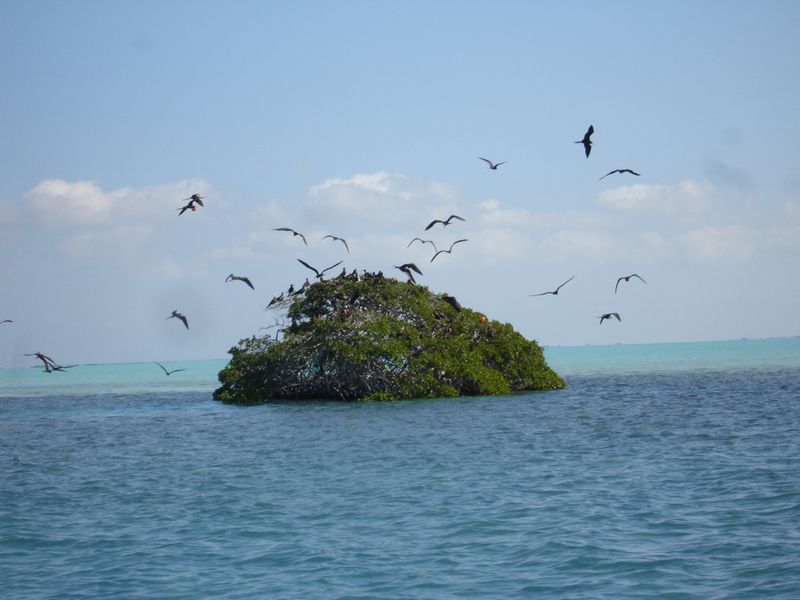 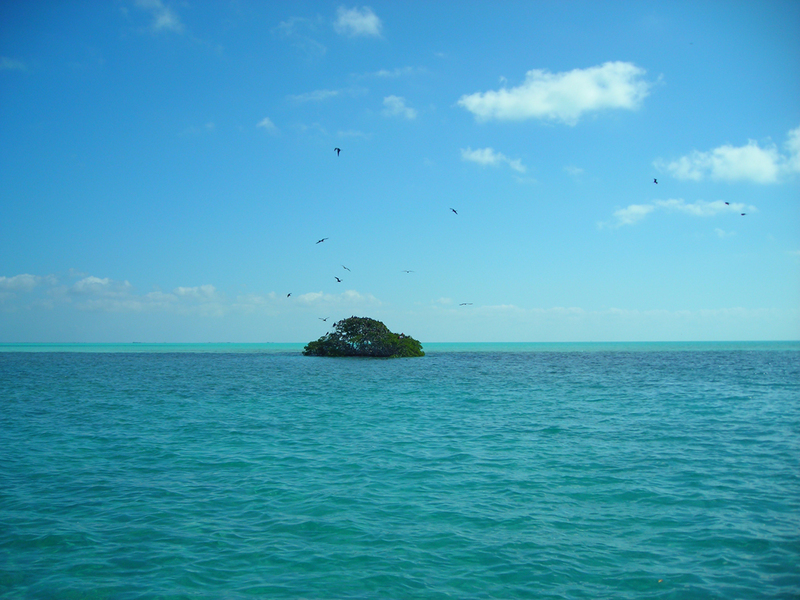 One small island occurs on the crests of a shoal and is surrounded by a complex array of beachrock trends. 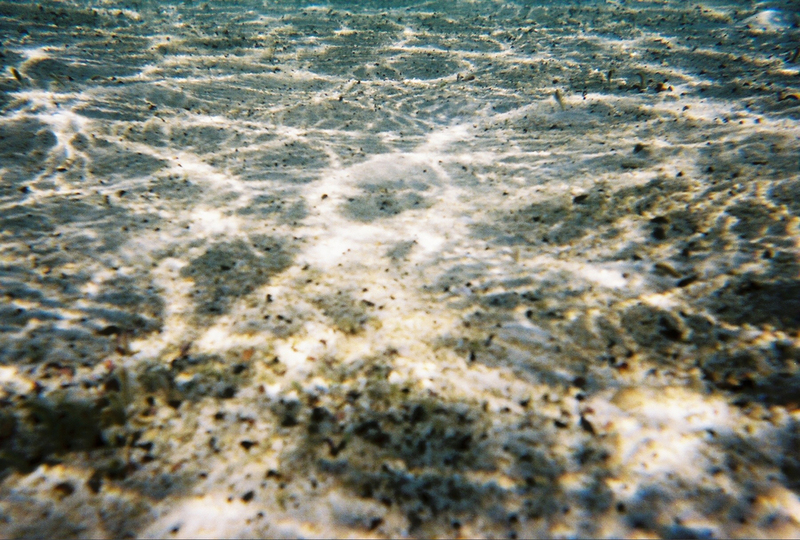 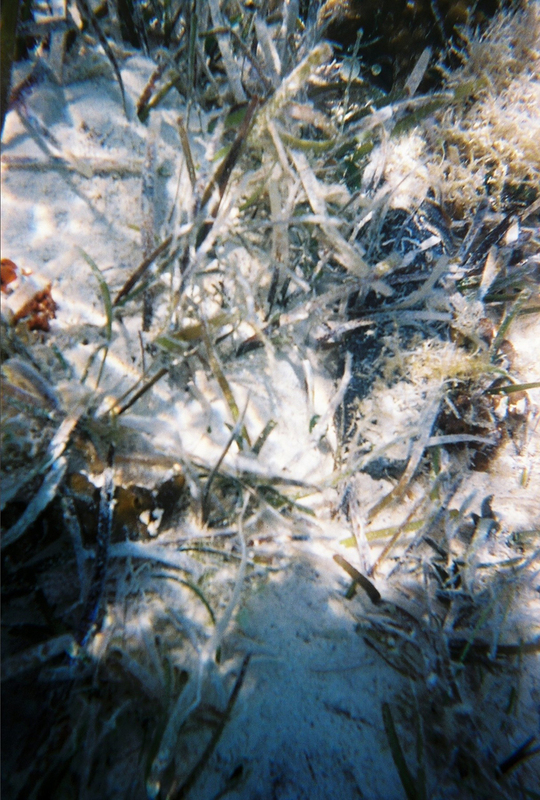 The shoal surface is covered with medium to very coarse grainstone, and the crests of some shoals have low mobile sand waves with patchy to continuous hardgrounds. 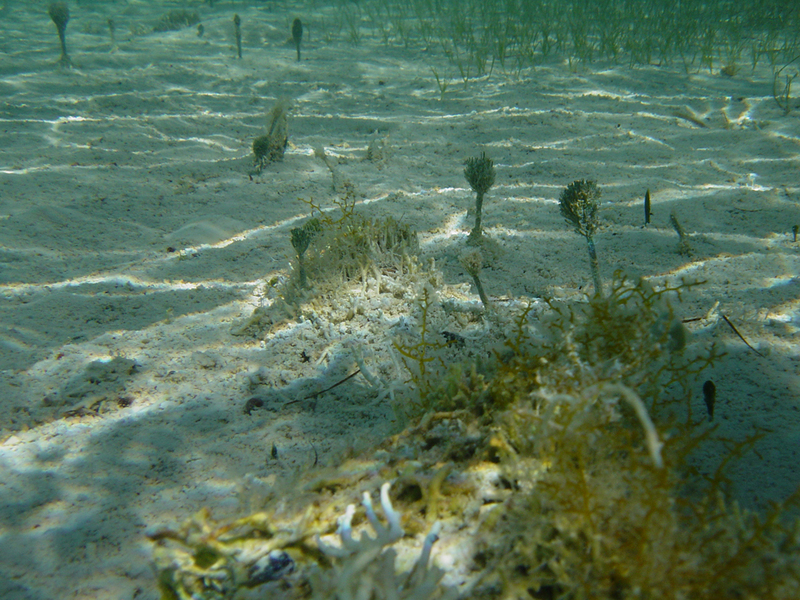 Some hardgrounds are former beach-rock trends; others are areas of subtidal marine cementation or coral-algal and encrusting worm tube growth. 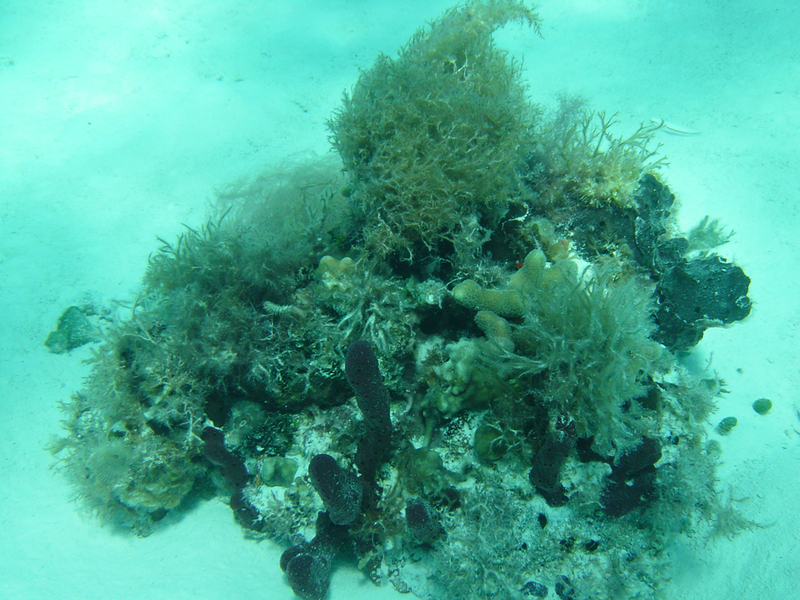 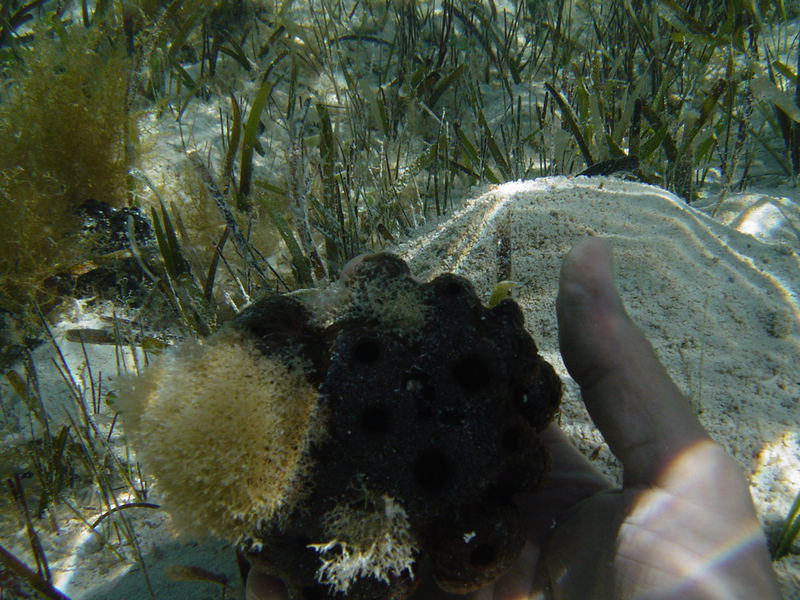 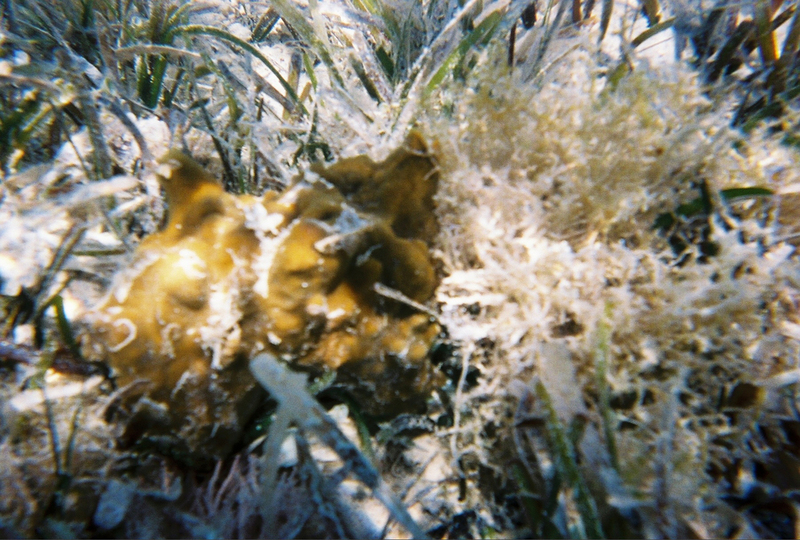 Sponges, brown algae, Batophora and Acetabularia are abundant on the flanks of the shoals. 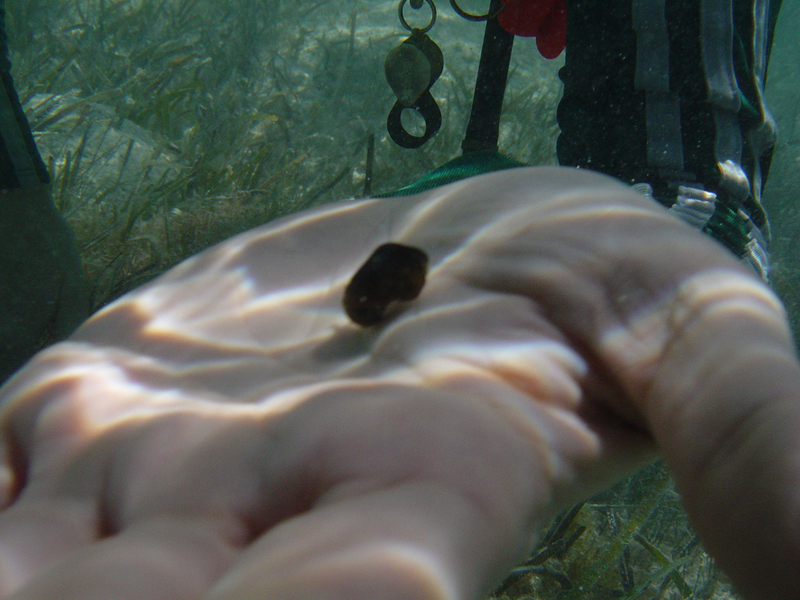 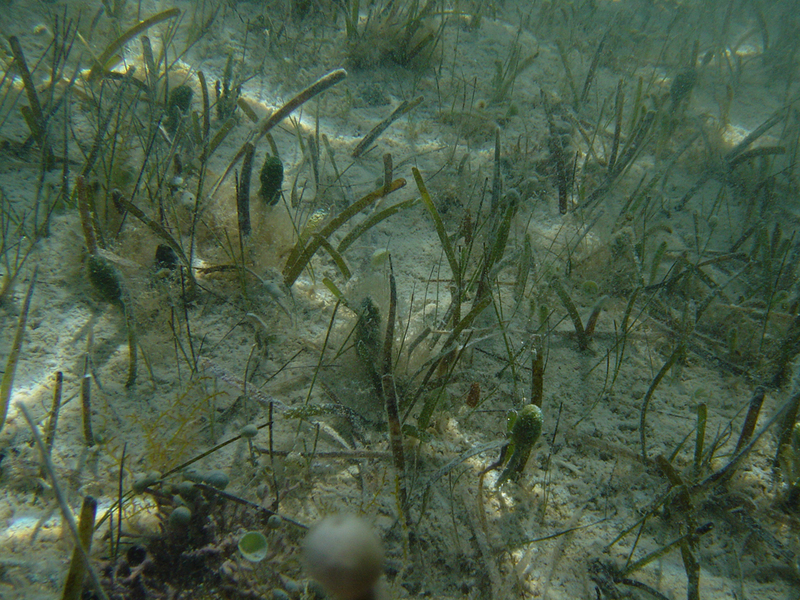 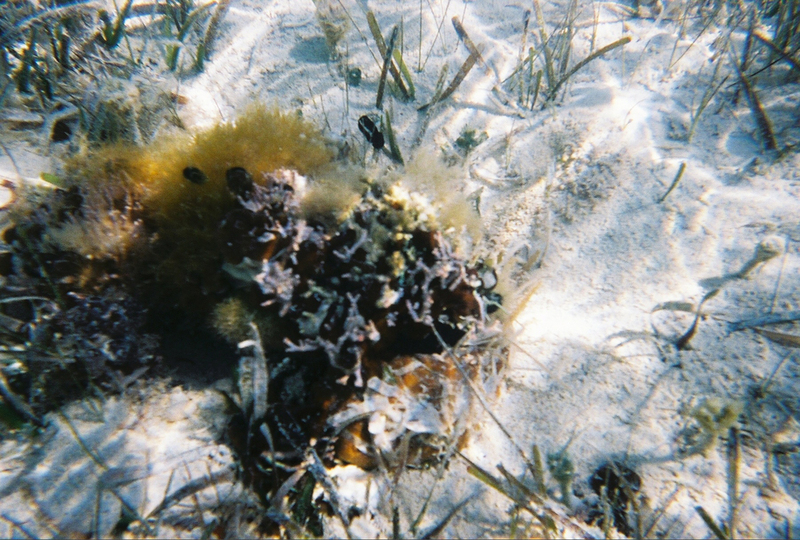 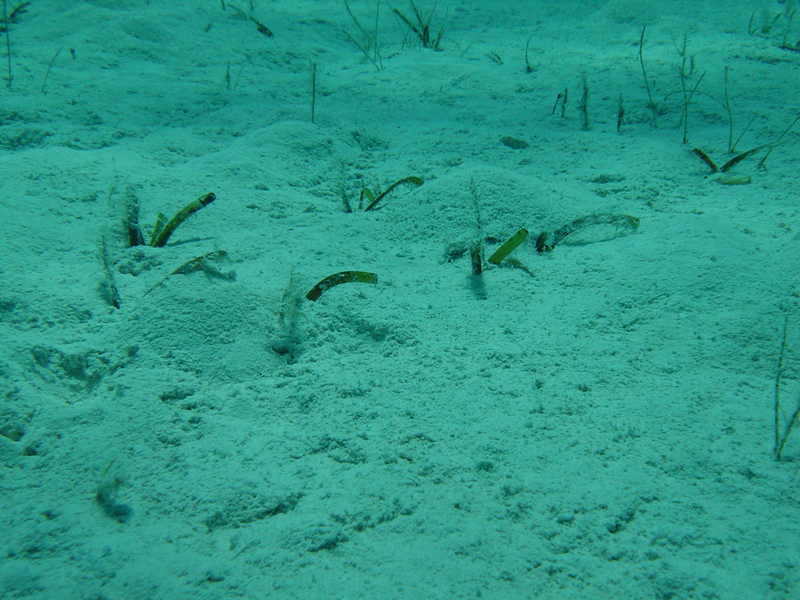 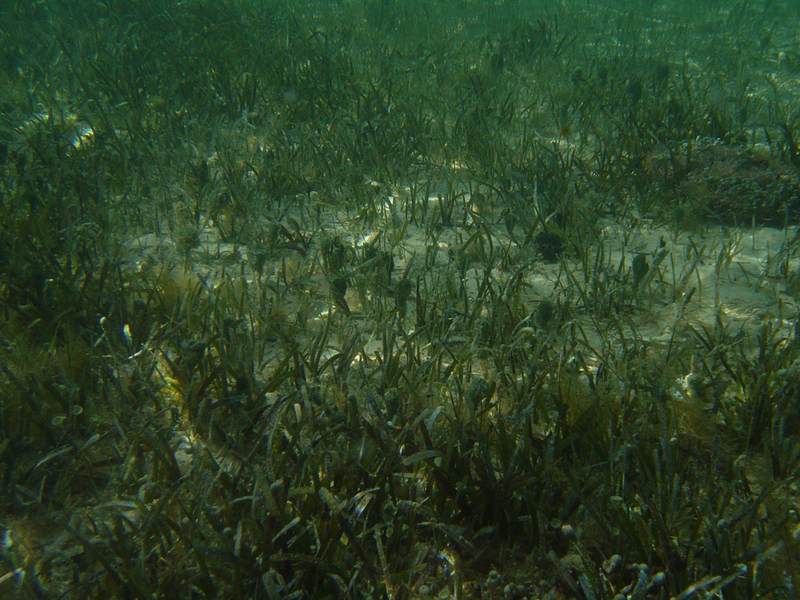 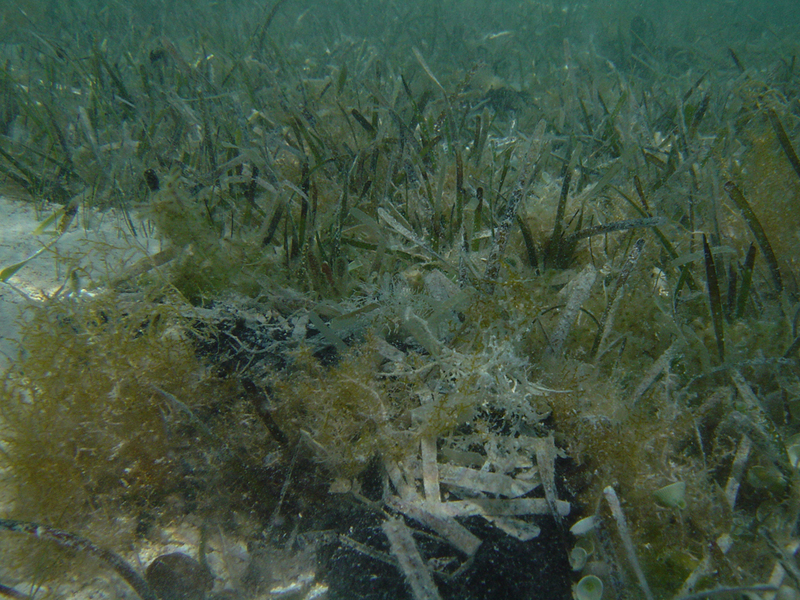 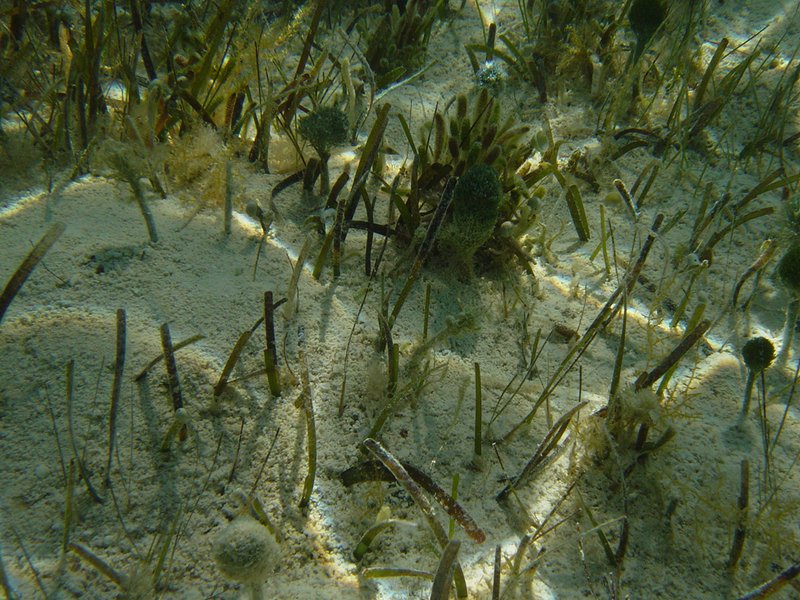 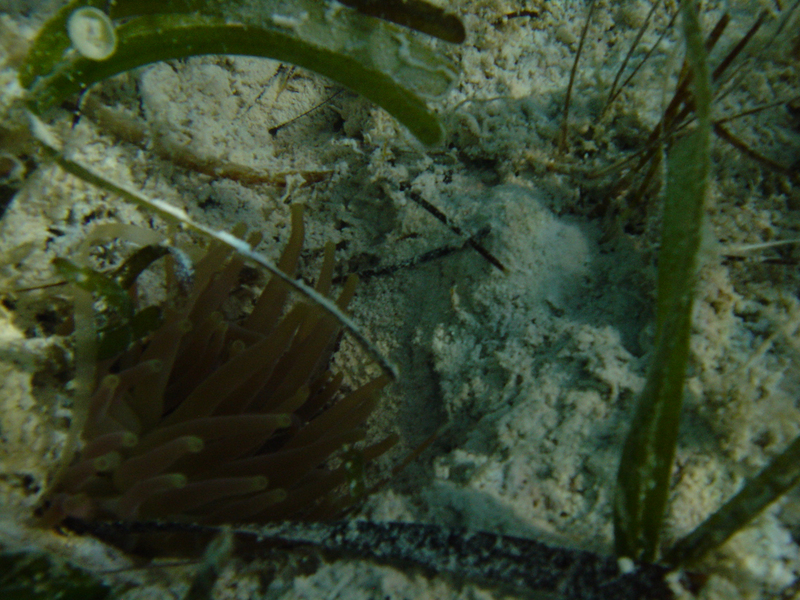 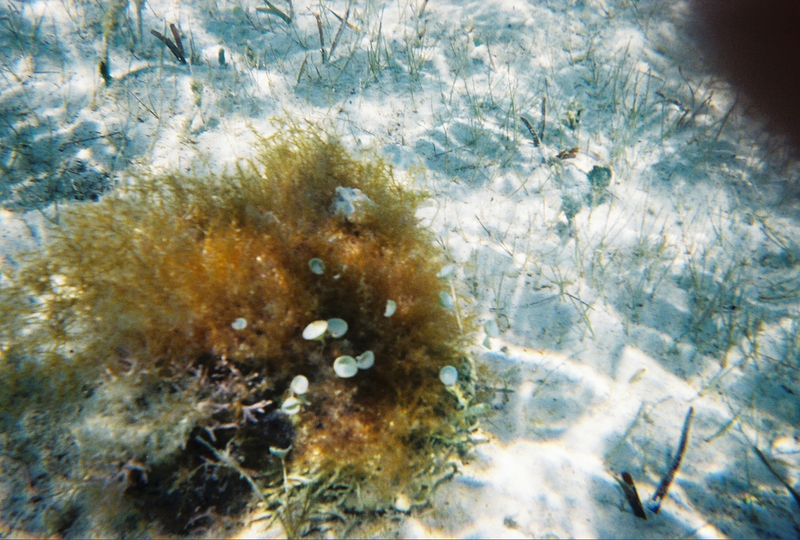 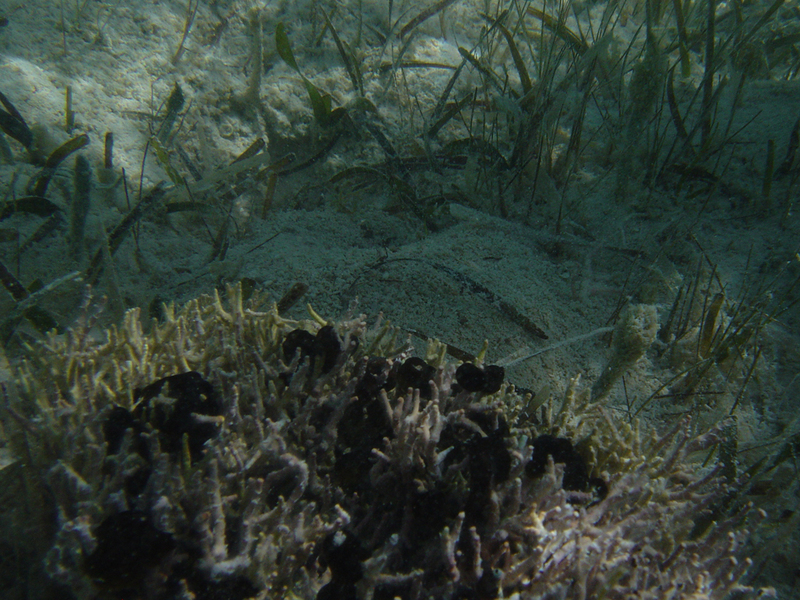 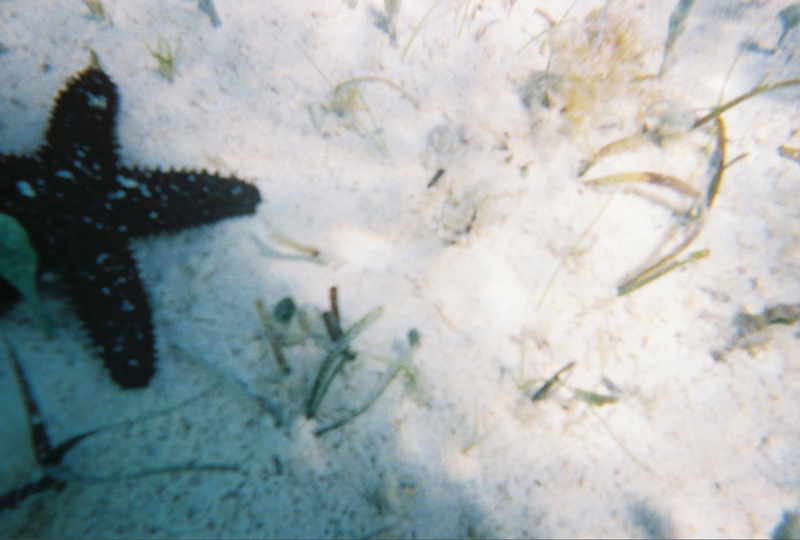 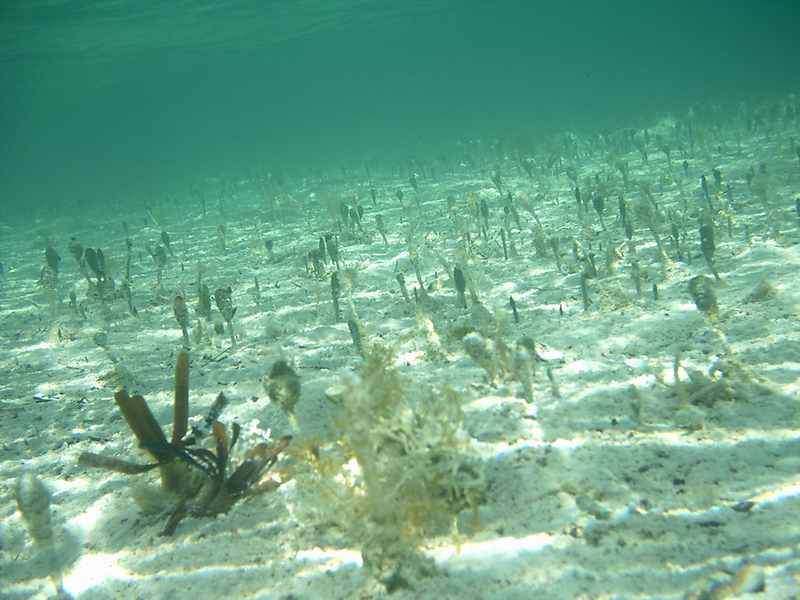 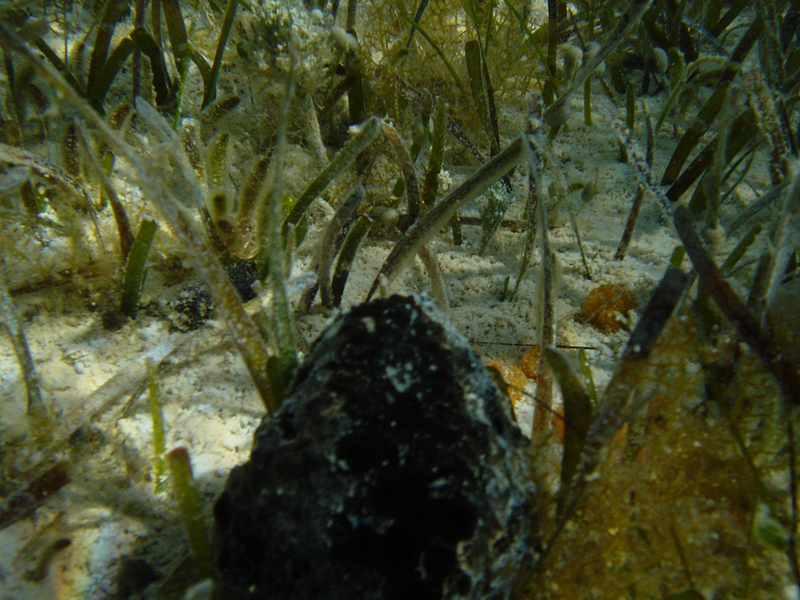 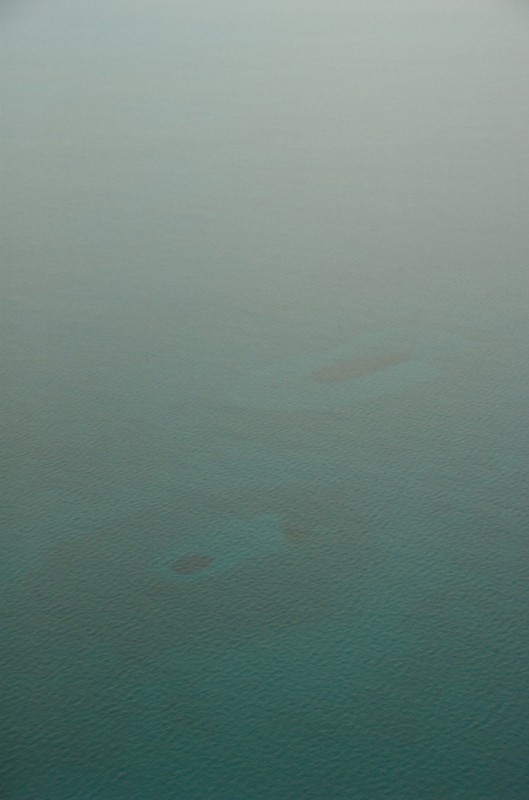 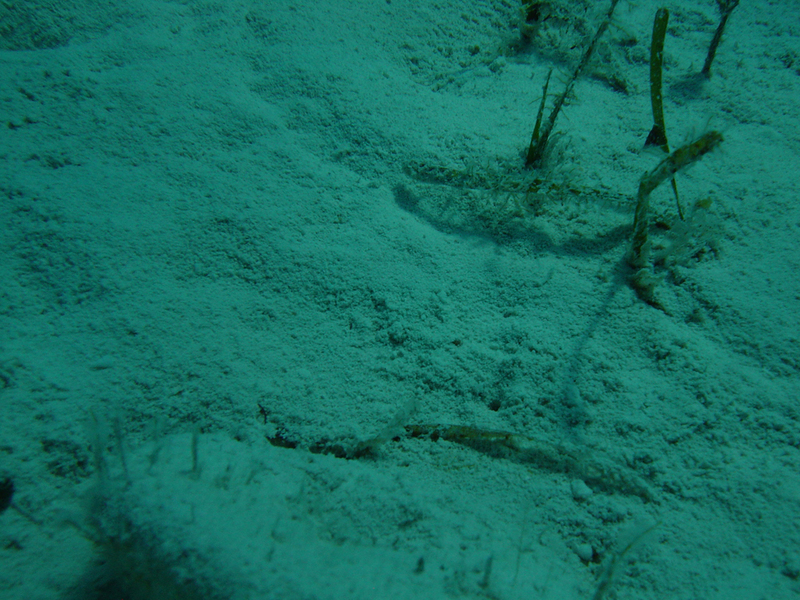 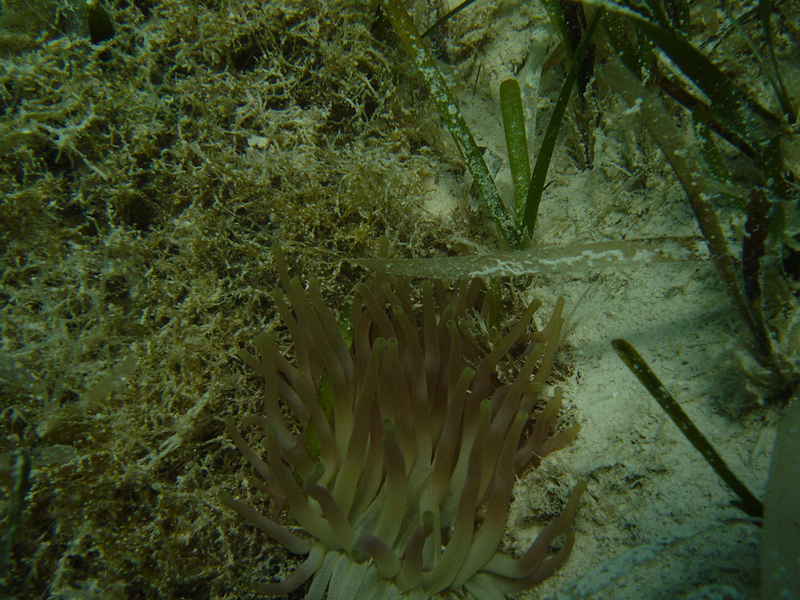 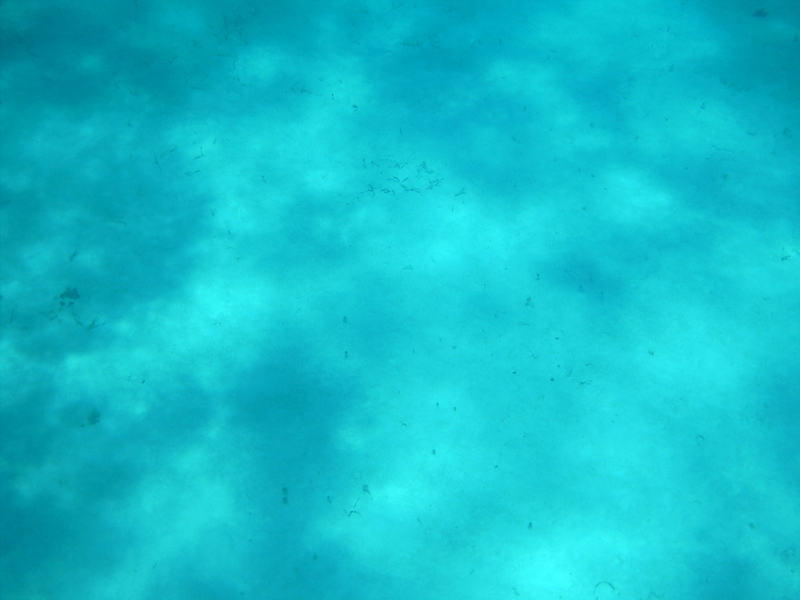 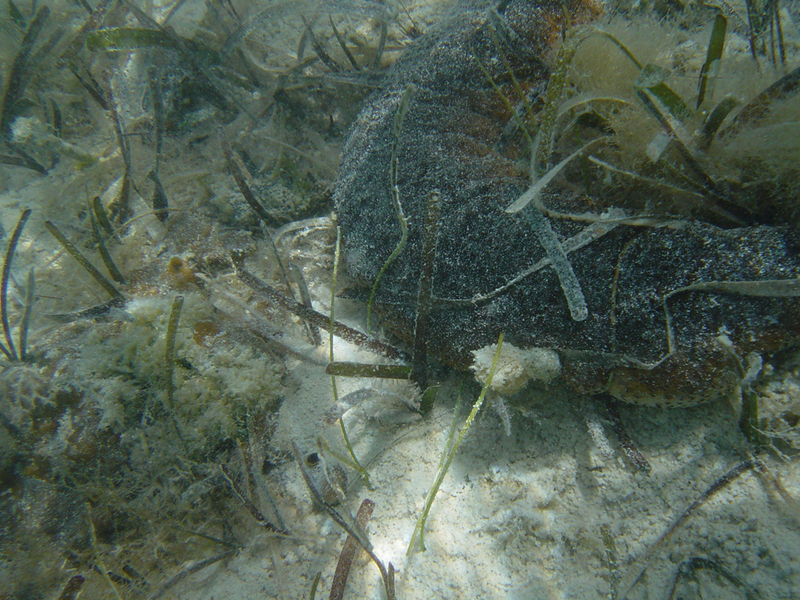 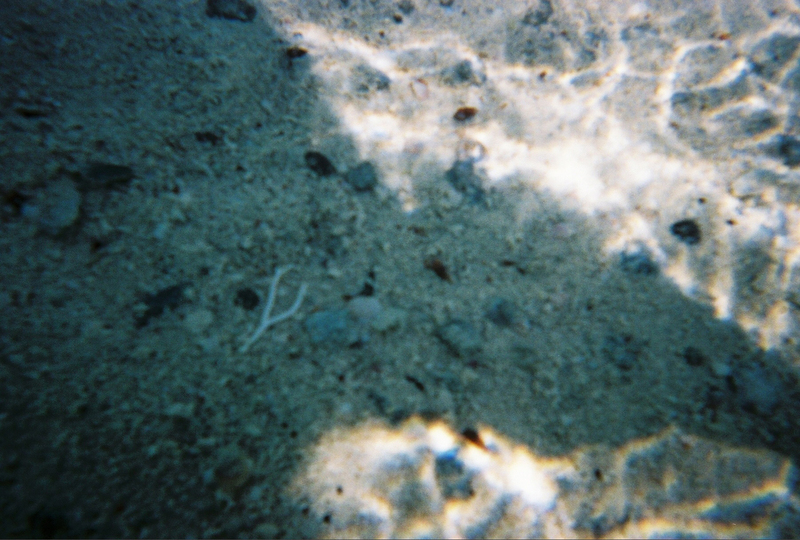 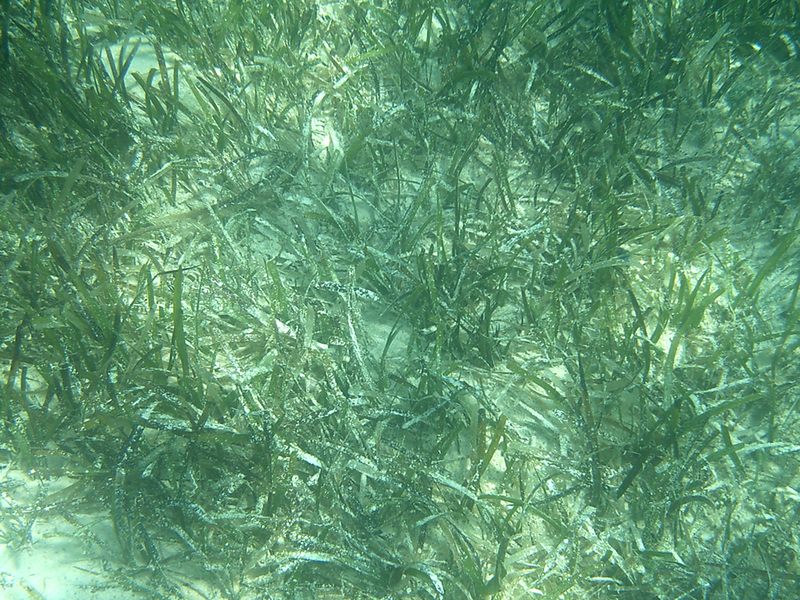 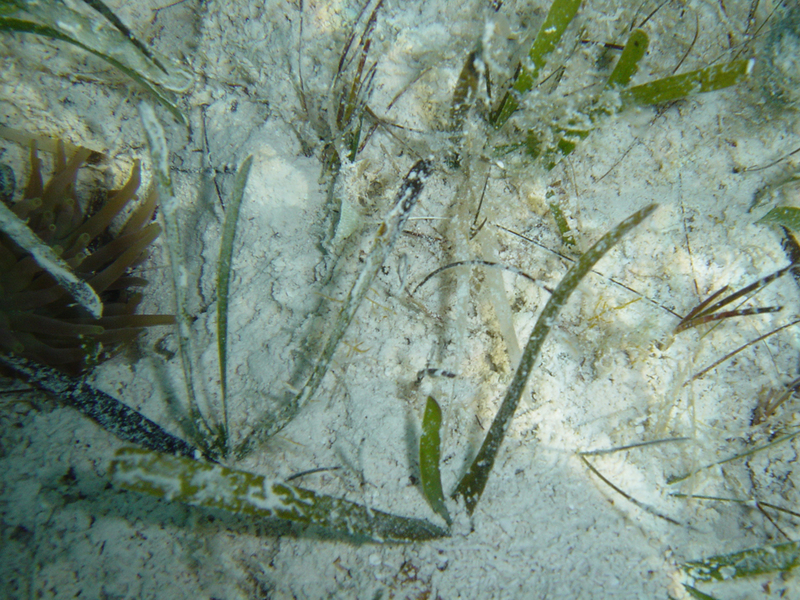 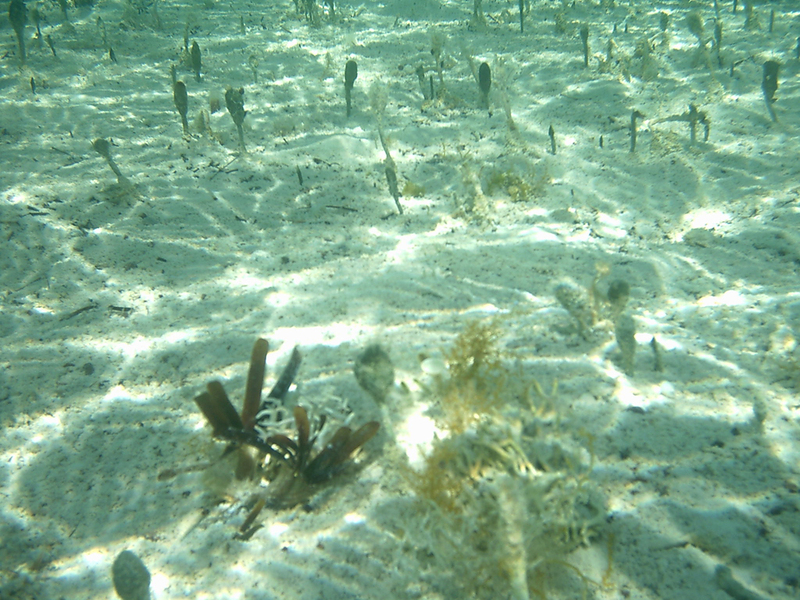 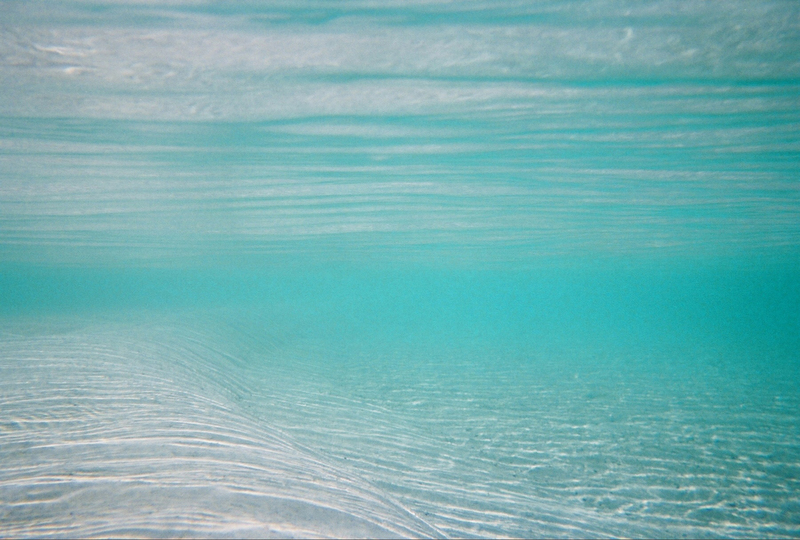 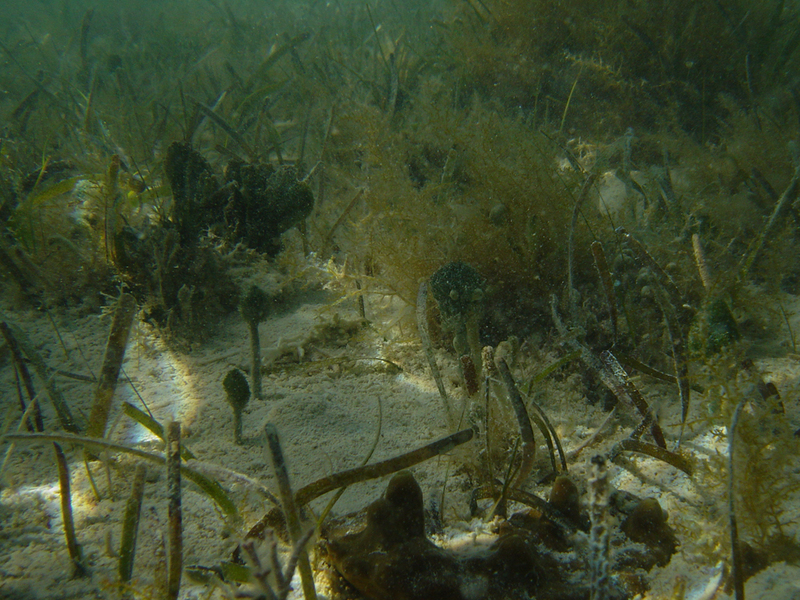 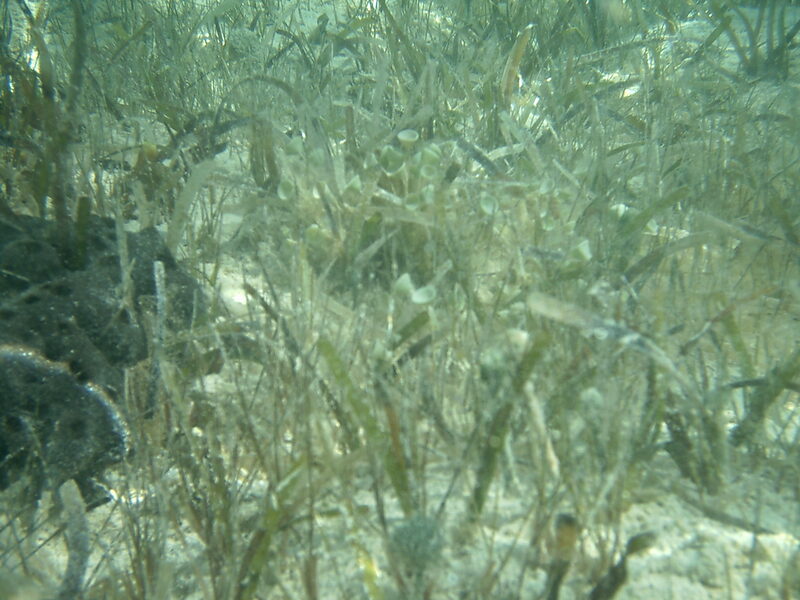 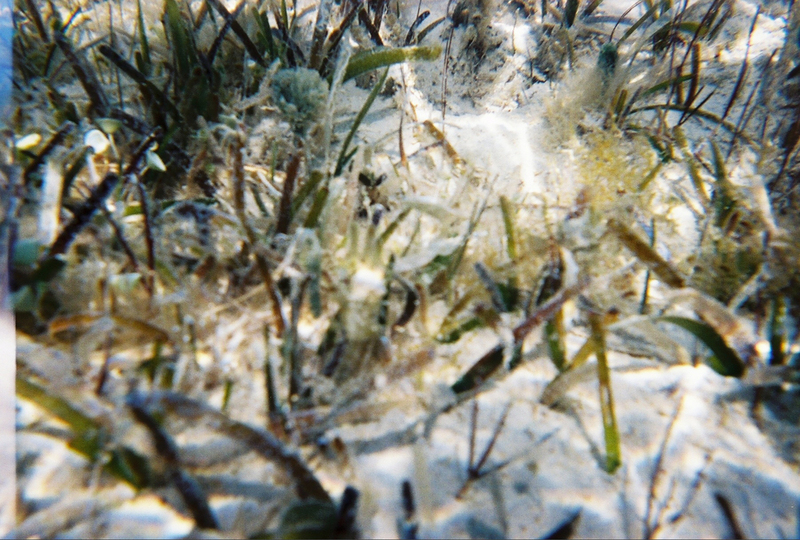 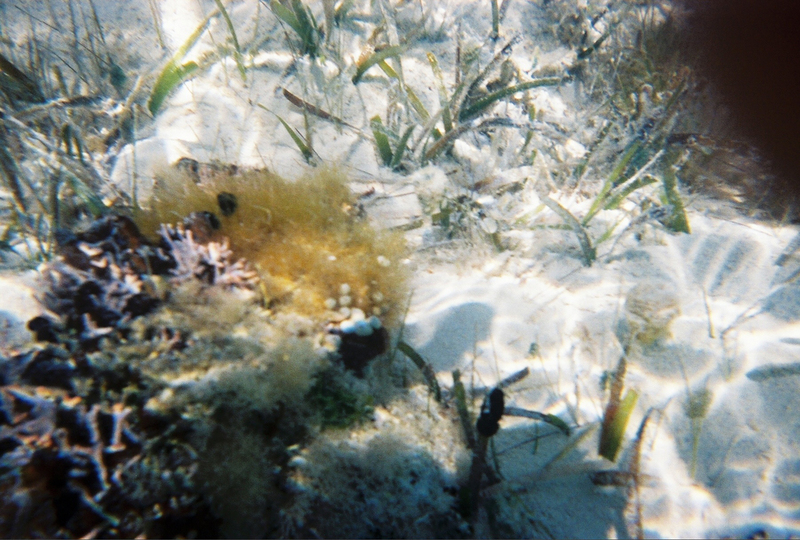 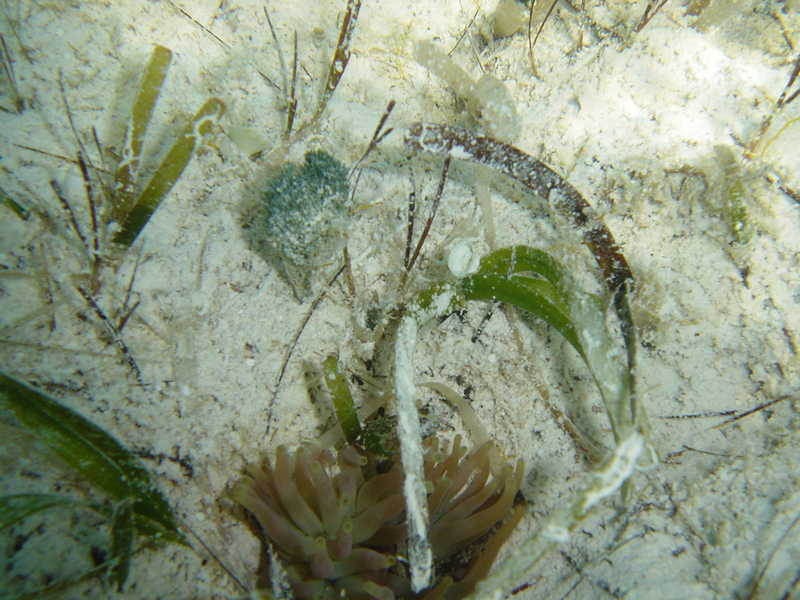 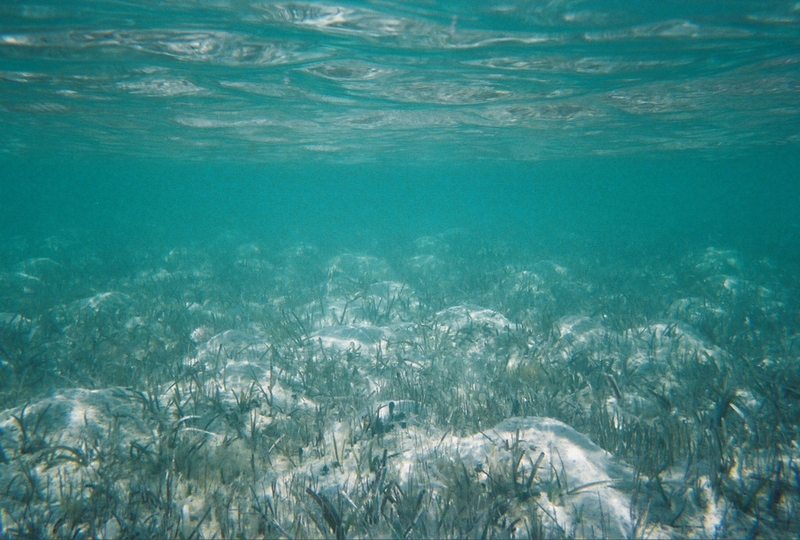 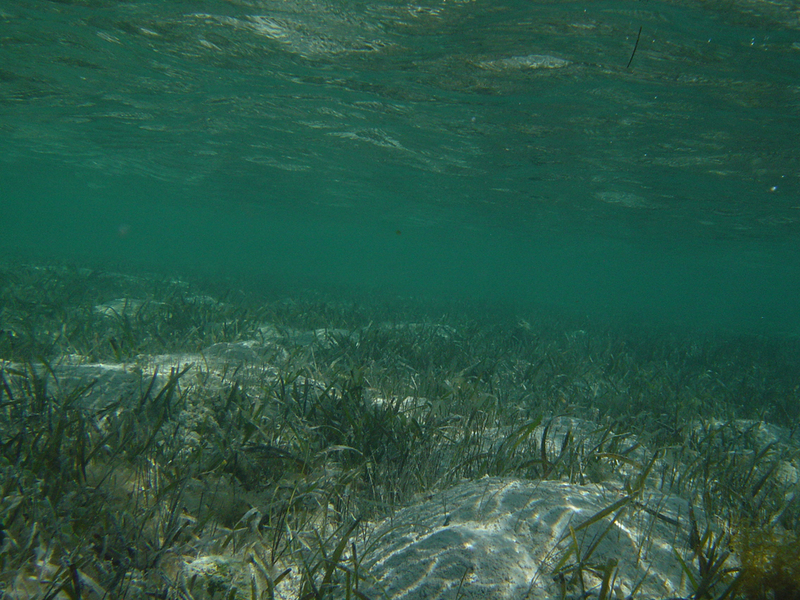 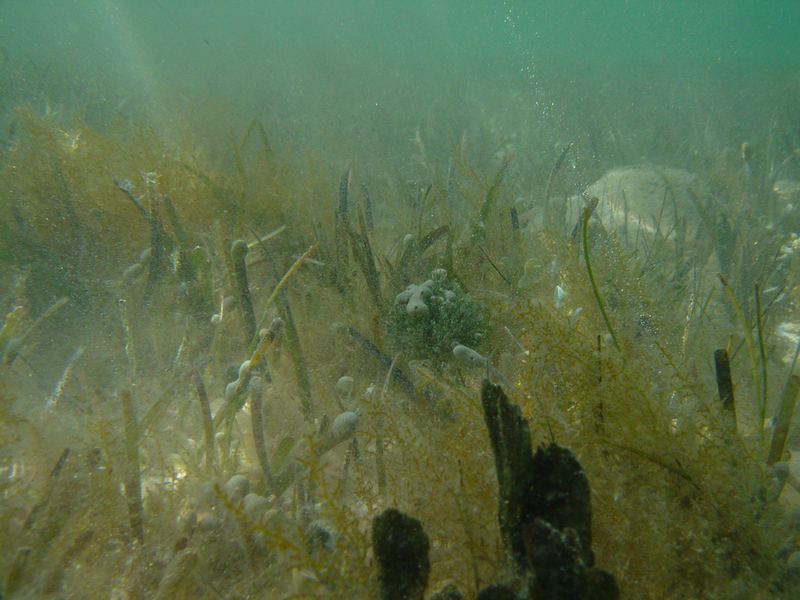 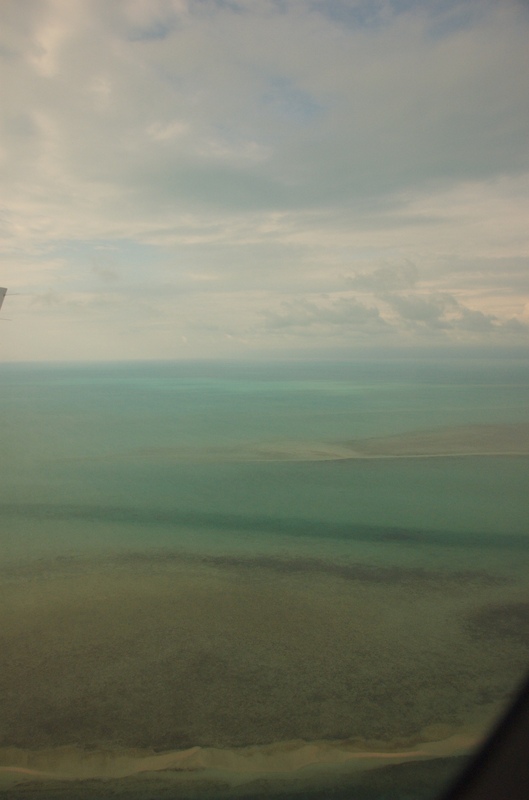 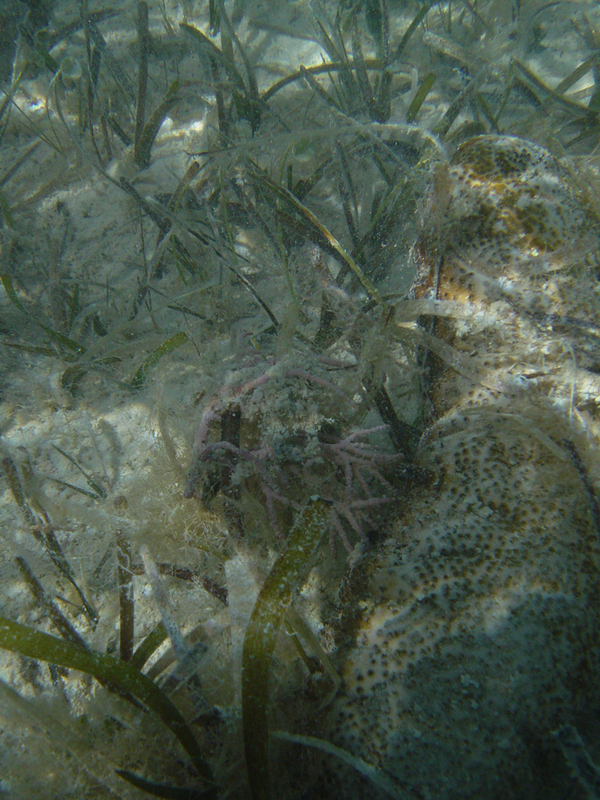 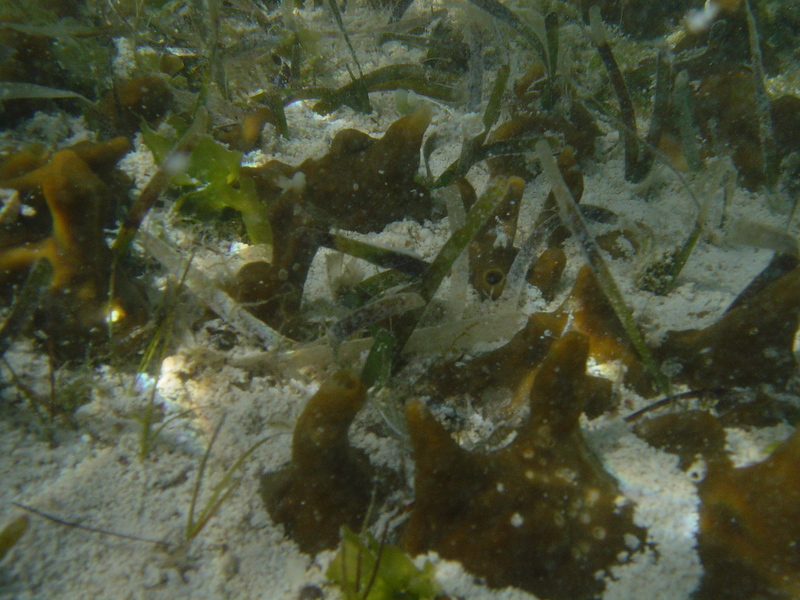 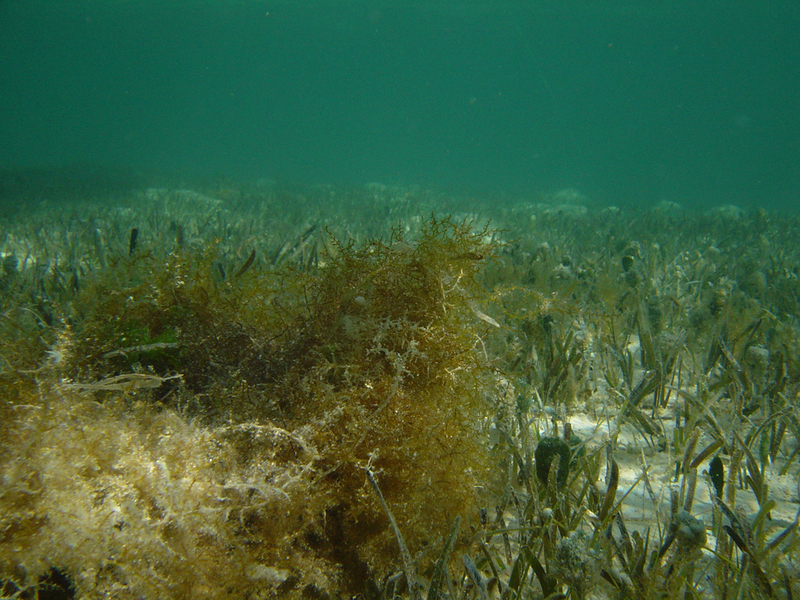 Seagrasses flourish on the deeper shoals and In channels. 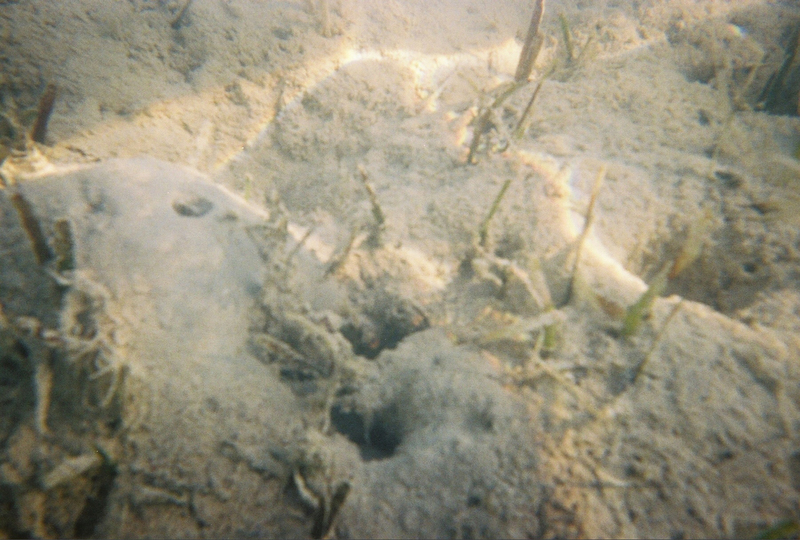 Burrow excavation processes are active throughout these shoals. 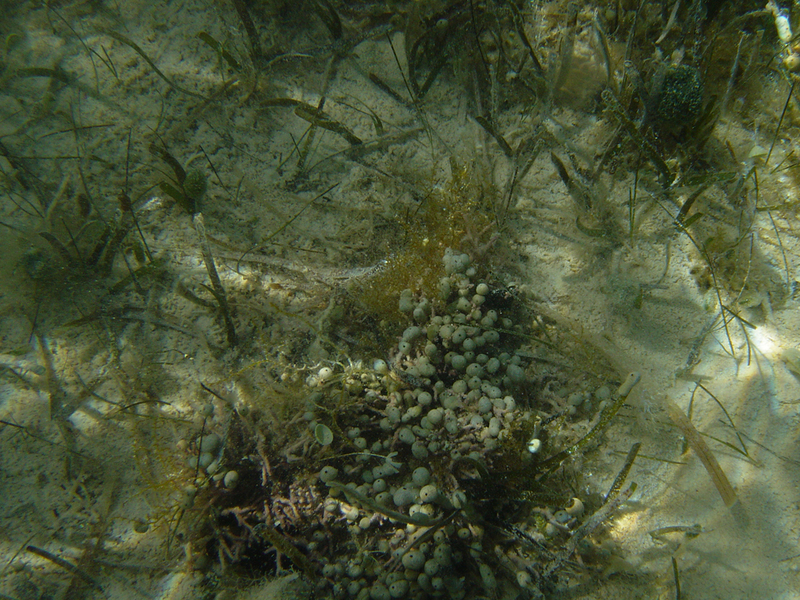 Sea urchins, including the heart urchin, are abundant. 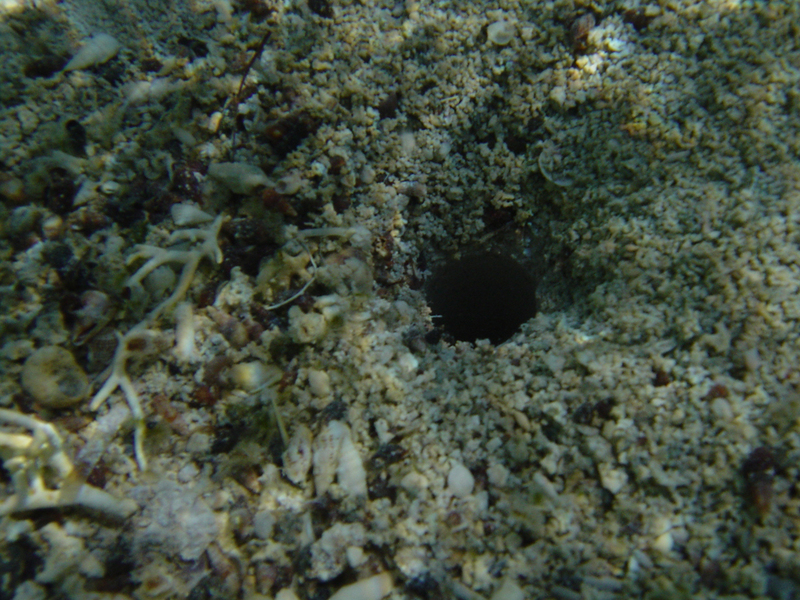 Repetitive hardgrounds prohibit deep coring. 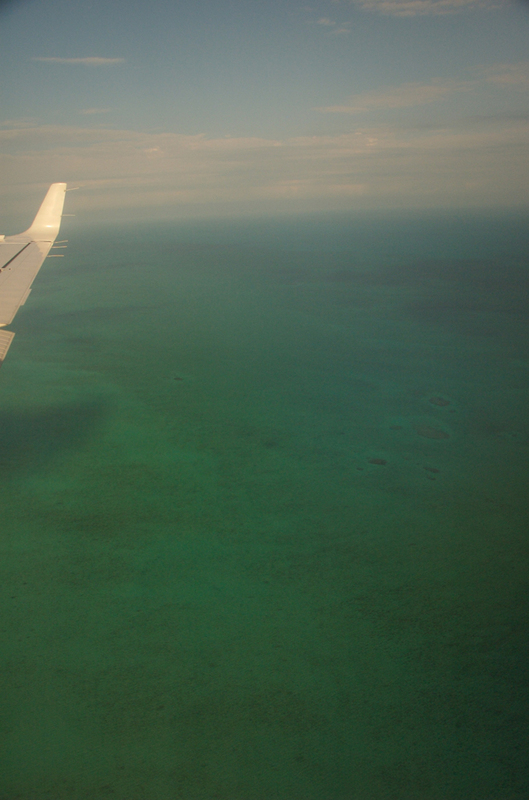 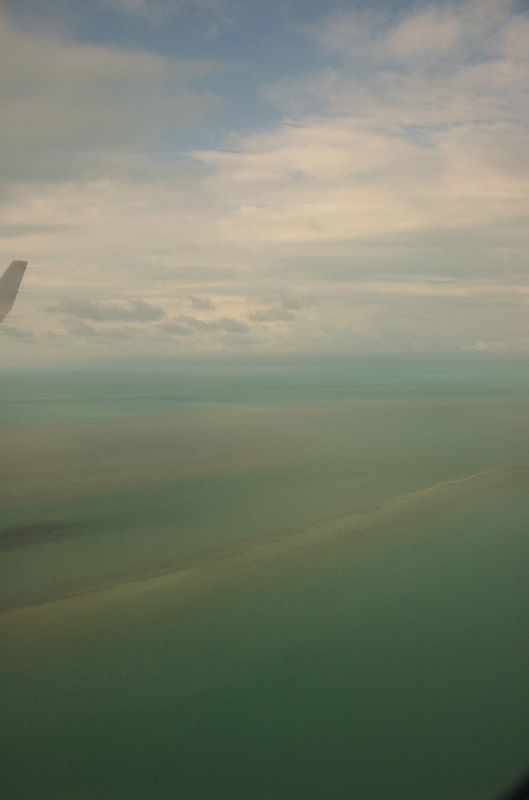 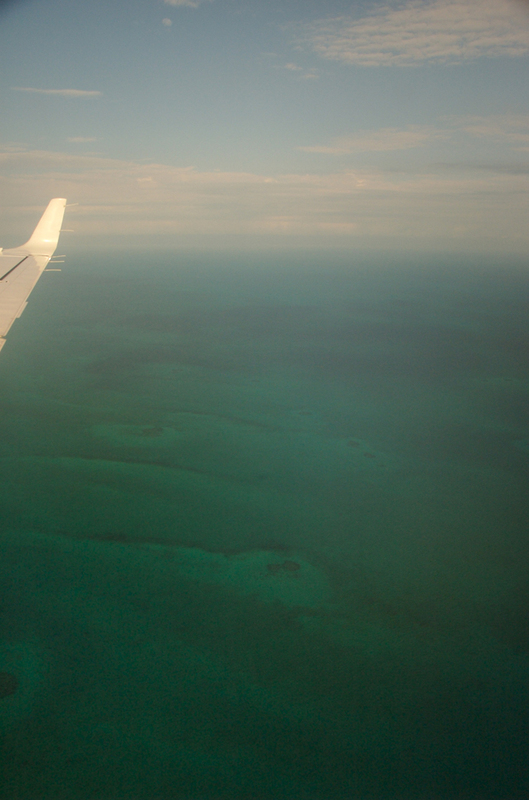 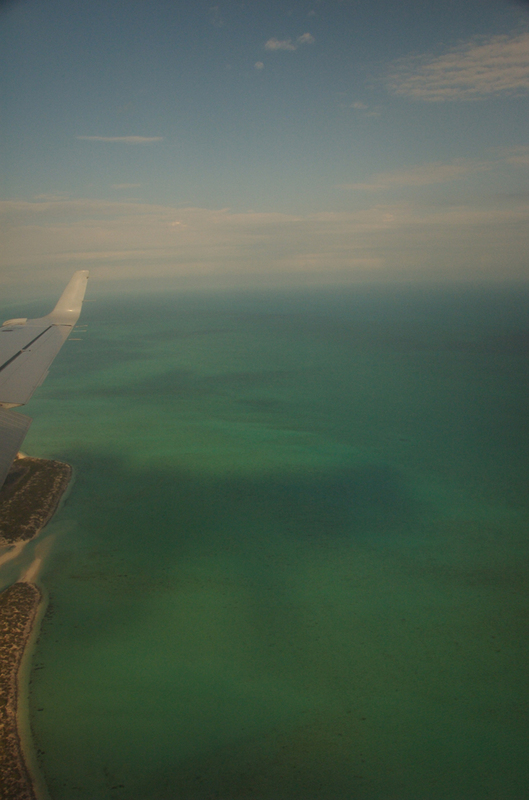 Jet probing, however, has penetrated as much as 4 m of Holocene sediment. 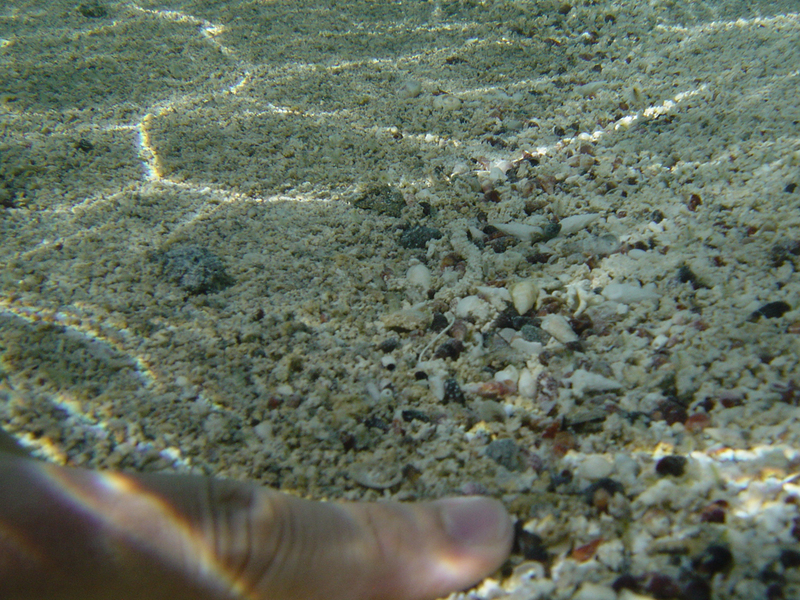 The sediment is a mixture of irregular ooids, grapestone, peloids and minor skeletal grains. 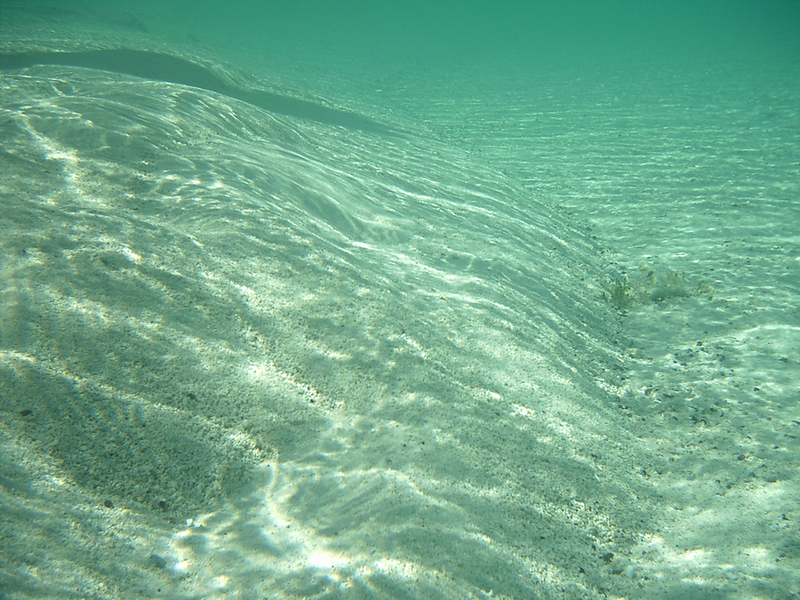 Microboring and micritization of grains and hardgrounds varies from minor to pervasive. 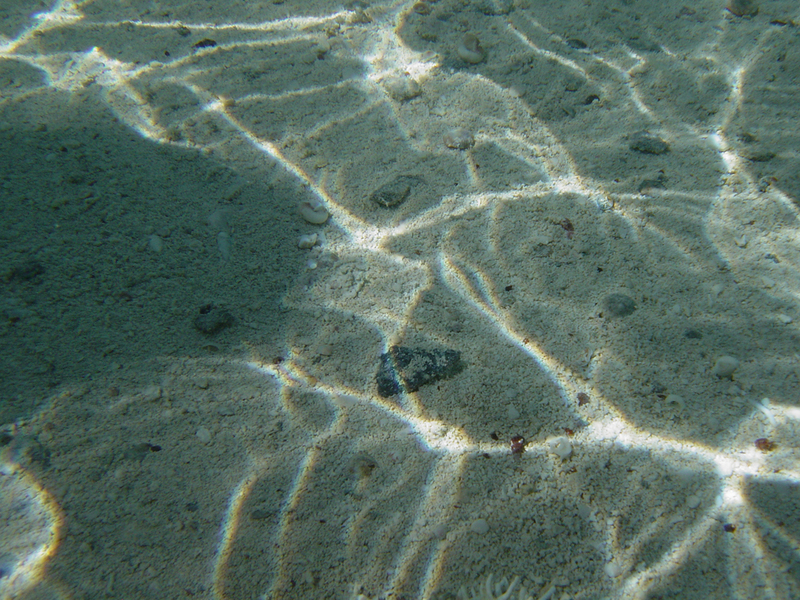 Coarse skeletal sands are not abundant but may be concentrated in tubular tempestites or at the base of tabular (surficial) tempestites. 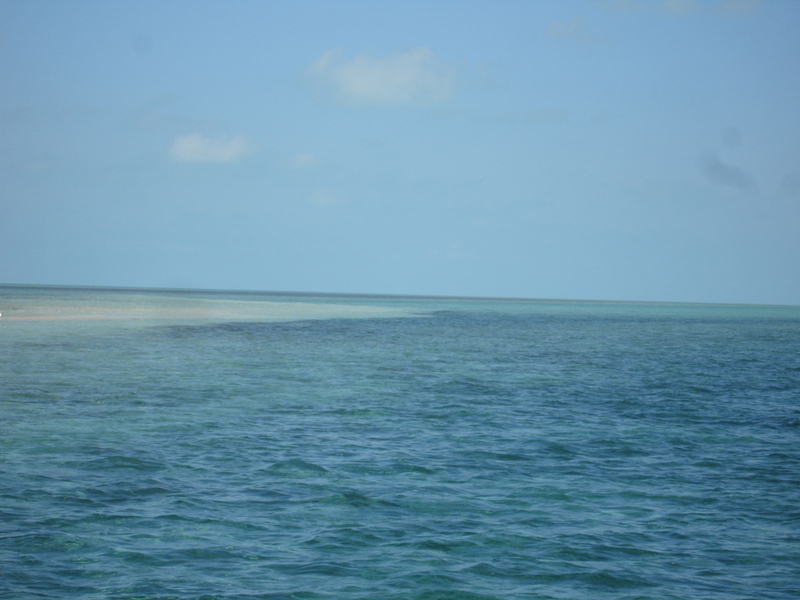 Channels cut the western portion of the MidPlatform Shoal and trend WNW-ESE. 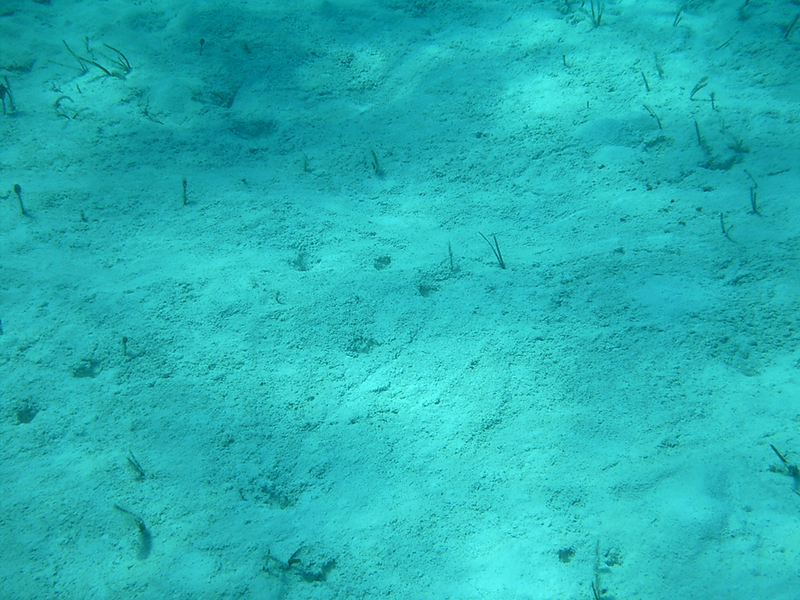 These probably result from storm surges. 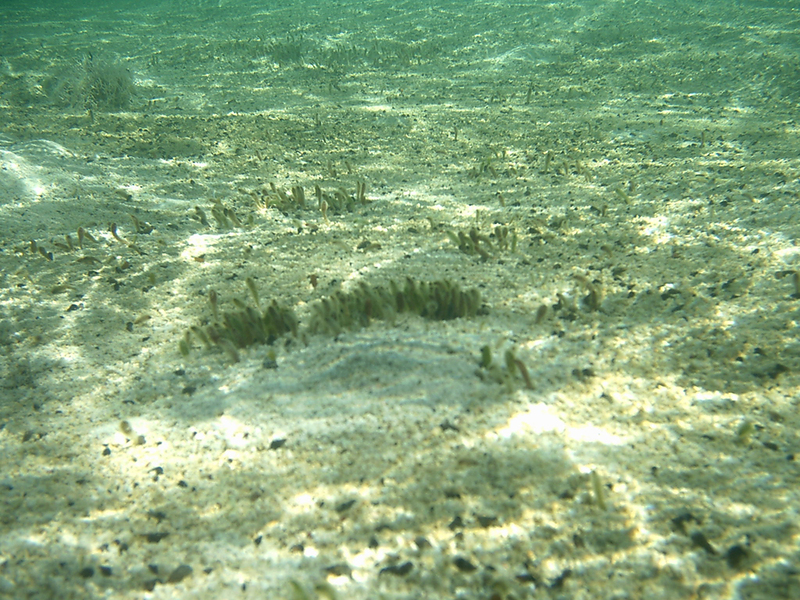 North-south trending ridges and swales are present along the central portion of the Mid-Platform Shoal. 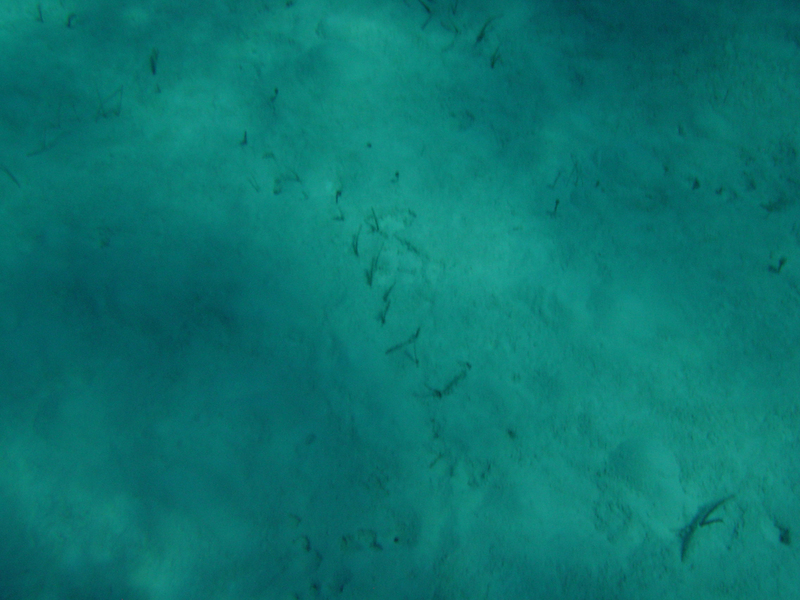 These appear to be widely spaced transverse sand waves, somewhat modified by channel scour, trending transverse to the shoal trend. 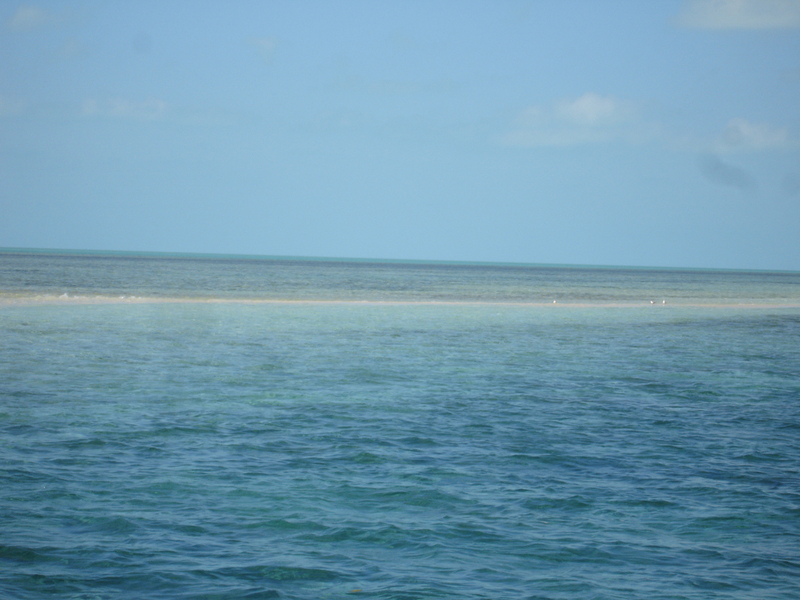 The Mid-Platform Shoal provides good protection for peloidal packstone and tidal flat environments to the north by dampening the influence of both prevailing easterlies and hurricane surges". 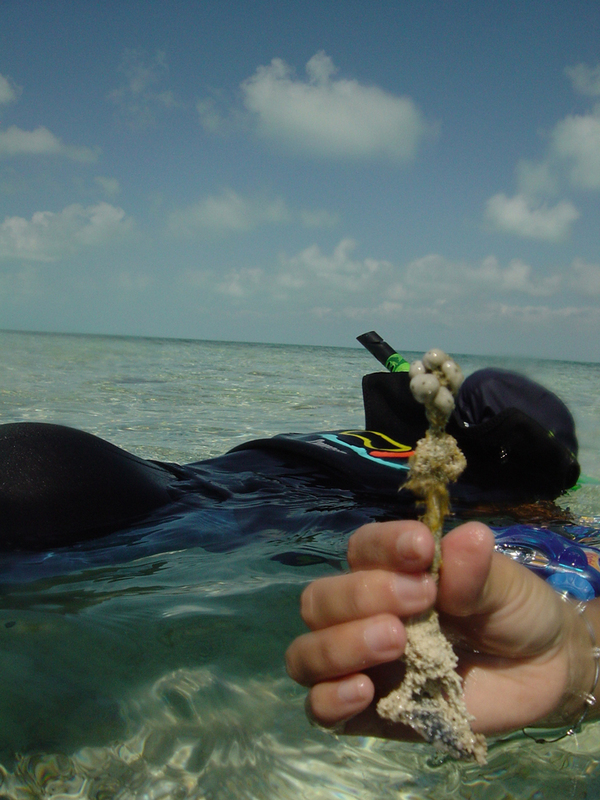 The photographers of the images in the galleries ranged from Ned Frost, Ryan Phelps, Jerome Bellian, Steve Steve Bachtel, Enzo Aconcha, and Christopher Kendall, all of whom participated on a field trip by Jackson School of Geosciences from Austin Texas.